Making your first ever online sale is a turning point in the career of every budding entrepreneur. If you haven’t achieved this milestone yet, don’t get worried -- get to work! Think of the time and effort you went through setting up your online store: photographing your products beautifully, sifting through shop themes for just the right look, putting up your inventory. Now imagine closing due to lack of sales, without ever giving your store a chance! You’re too close to turn back now. Your first sale is what separates you from a hobbyist to a bonafide online business owner, so we’ve come up with a list of 36 practical, actionable tips to help you get the ball rolling. Don’t limit yourself to just selling in person; attend industry events to interact with other key players in your industry in person as well. Suppliers, distributors, even competitors will be there -- and they’re all worth getting to know. Network, meet potential customers, and learn more about your industry and how to make your business profitable all at once. Don’t just carry them at events! You never know when an opportunity to meet a new customer might arise. This is especially important if you sell jewelry or clothing in your online store, because you’re likely to get compliments on what you’re wearing as you go about your day. They’re already interested in your pieces -- why not let them know where they can obtain their own? Collecting email addresses is notoriously difficult online, as people are rightfully protective of their personal information. Still, email addresses are basically capital in the world of online sales, so take advantage of how much easier it is to get an email address when you’re chatting in person and you know the person you’re chatting to is interested in your brand. When you’re at pop-up events, fairs, and other events, hold a “raffle” for a free piece of jewelry, art, or whatever your signature product is. This is a great trick to collect email addresses without putting any pressure on your customers! People simply enter the raffle by putting their business cards or email addresses into a bowl, which you save for later. Make sure to tell them to put their contact information so that you’ll be able to get in touch with them if they win! Why would someone sign up for your newsletter on your website if it didn’t benefit them? Most ecommerce companies use the incentive of an immediate discount on the items in their shopping cart, a coupon for a discount in the future, or the promise that subscribing to their newsletter will offer exclusive news and discounts. Another good option is to offer a piece of content that your customers would find desirable and useful. Writing an ebook and giving it away for free (with the only cost being an email address) is a great way to incentivise building up your email list. Example by SupaDupa kids fashion store, Greenberry Kids, have done a great job by including a pop up newsletter request the moment you land on the site. With the additional incentive on receiving the latests special offers - how can anyone resist? After you’ve collected all those business cards, you’ll need to turn them into marketing data that you can actually use. Mailing lists are one of the cheapest, most effective marketing tools that a new business has at their disposal. We like Mailchimp for this, but there are loads more free tools online for you to choose from. Show customers what you’re working on, give them sneak peaks, or feature up-and-coming products. Mother’s Day, Father’s Day, Nurse’s Appreciation Day -- you name it, there’s a holiday that requires gift-giving for it! Have you recently decided you’ll offer free shipping? People need to know! A great way to reward loyal customers and remind them what a great experience they’ve had with your online store before! They’re your best sellers for a reason, and knowing that others really like a product can often sway a shopper in your favour. The ability to pre-order makes customers feel special, and also helps you stay ahead of ordering supplies, manufacturing, and cost concerns. Create your email marketing plan with MailChimp’s guide and read our email marketing tips to further optimise your newsletter campaigns. 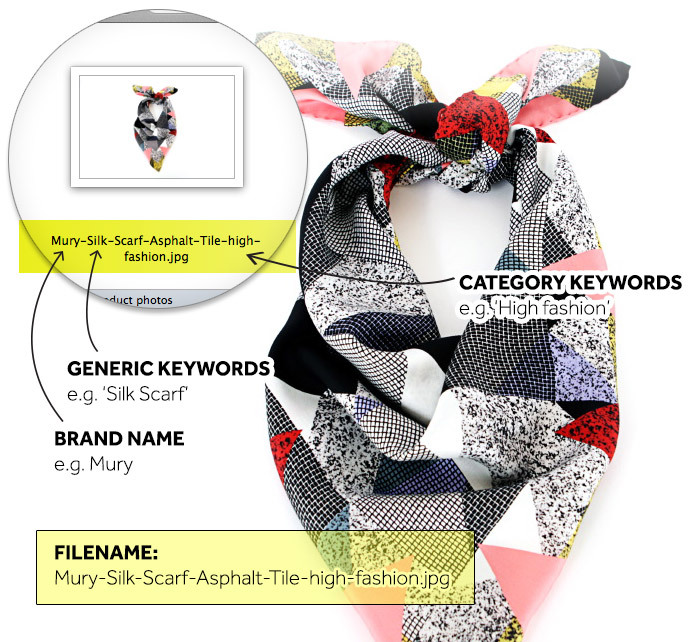 Your online customers can’t physically touch or examine your products, so large images from a variety of different angles -- and close-ups that feature the detail of your work -- are a must! 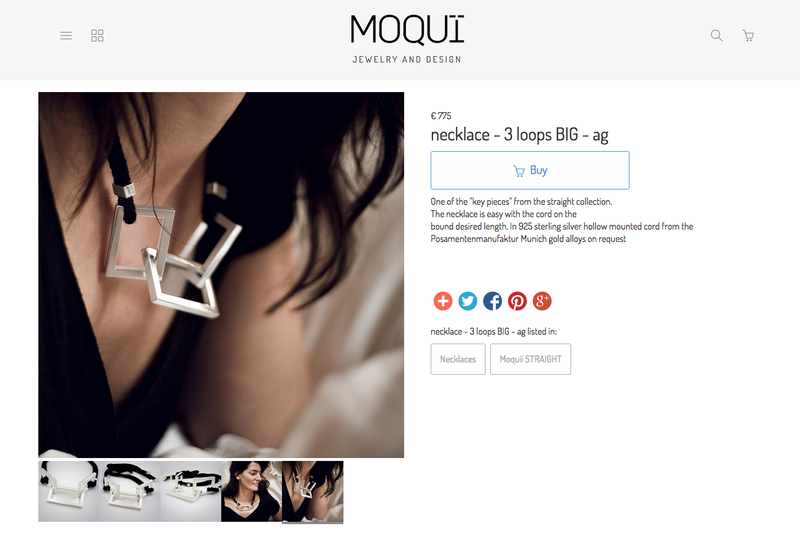 SupaDupa jewellery store Moquii, are a perfect example of using crisp sharpe imagery to really capture the beauty of their stunning jewellery pieces. Notice the different angled shots taken to give you a real feel of how the item will appear on your skin. Pooling your resources by cross-promoting with another brand means you’ll be twice as strong -- with more supporters and potential customers -- at any given event. Everyone wins! Team Up With Charities That You Care About And Would Want To Donate Proceeds To Anyway! This will keep the cross-promotion true to your brand, and you’ll have a huge pool of likely customers at their events because their supporters know that buying your products also helps their charity. They’re both ‘buy one, give one’ companies that have a huge following among young women, who researchers have found are most likely to be swayed by ‘cause shopping’. If they’re part of your target niche, this is a winning strategy! If you sell jewelry, teaming up with a fashion retailer will let you show off how well your jewelry dresses their clothing up or down, making the clothing more versatile. With cross-promotion, the possibilities are endless! 9. Increase Traffic By Putting An SEO Strategy In Place. We could write a whole article on this -- in fact, we’ve written two -- and barely scratch the surface. SEO is an entire marketing industry unto itself, but our Beginner’s Guide to SEO covers what makes search engines ‘like’ you and rank you higher in search results, how to find the keywords you should focus on, and other important basics that you can easily do on your own. You can’t make your first sale if no one finds your online boutique, so don’t ignore Search Engine Optimisation! Another SEO web trick is to sign up for a Google Places account, which is simply an account for businesses in which you enter your business address. Even if you’re an online-only boutique, sign up for Google Places! Whenever someone searches your keywords and your location, you’ll be much higher in the Google search results. High-quality videos make your brand seem established and professional, which is key to making sales when you’re a brand new company. Videos are the easiest way to convince people that your brand is legitimate, trustworthy, current, and here to stay! More personal videos are also a great way for customers to put a face to your brand. This, in turn, builds customer loyalty. They’re also a way to show your product up close and in motion, which is especially useful for online clothing boutiques. Share your knowledge by teaching on a topic; review websites or tools that are relevant to your industry or give your take on trends in your industry; show how your product works or different ways to use your product to showcase versatility. As long as your videos are high-quality and the content is useful to your customers, anything goes! SupaDupa store, Digby Jackson London is an East London brand with an international appeal designing high end street wear for men and women. In this video, they've captured the fun element which runs right through the middle – with ambitious, experimental tongue in cheek prints leaving its customer excited and wanting more.